Leading Manufacturer of cob high bay light all watt, led high bay light, industrial led high bay light and high bay light from Ahmedabad. An in-house research and development and design department combined with its unmatched technical knowledge allow AR ELECTRONICS to continuously define new trends in lighting. The company's end-to-end approach; from idea to implementation and service, its wide network of partners and flexibility give ILS the unparalleled opportunity to realize virtually any lighting vision. AR has been rising to become the largest manufacturer of industrial luminaires in India. In order to implement the right lighting solutions for our clients, our team of experts relies on a number of proprietary tools and approaches. ILS is a proven innovator in the fields of design, technology and environmental responsibility. The latest LED technology based on our own R&D.These tools; based on our extensive experience, high-quality products and the most modern technologies empower AR to deliver lighting solutions for all types Industrial lighting applications. 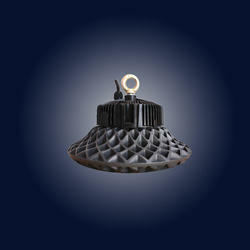 AR is manufacturer of High Quality LED lights which saves Energy through its innovative technology. AR has been excelling in the field of lighting solutions and since then, we have gained confidence and acceptance from well known industries, Architects and Electrical Consultants. We are specialised in high power LED Lighting & Lighting Design, through our independent innovation. We assuring high efficient & reliable LED lighting solution to the nation. Save Planet through energy saving concept by providing energy efficient lighting products to customers with cost saving and without compromising illumination quality.